Being a remote worker makes it easy to hide from a world that you find scary or dangerous. If you’re never in the presence of other people they can’t hit you. Retreat becomes so easy. Marius Jensen from Sola, Norway grew up in a society that did not care for him, and made him want to hide from the world forever. The WordPress community gave him a safe place to talk to people online, and after time, in person. WordCamps became a place of safety and compassion. This isn’t the case for all people, but it is for many people, in many places. 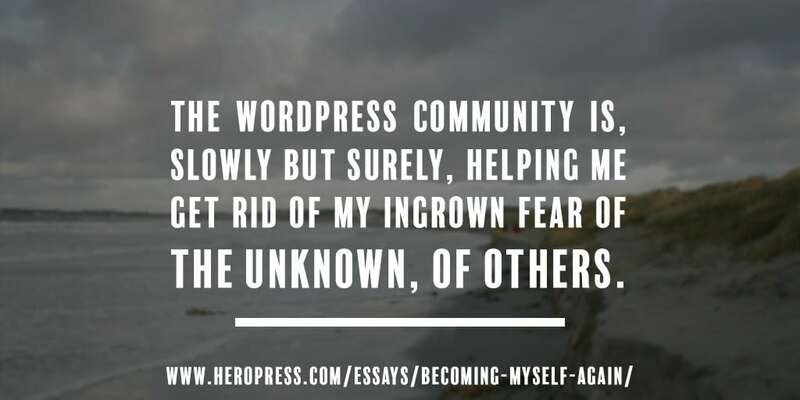 Check out Marius’ essay from last July, about finding a safe place. The post Making A Safe Place appeared first on HeroPress.